What good is an investment in an economy that won’t last? Learn how to be rich forever. Union soldiers had burned Atlanta and overrun Tara, and Scarlett O’Hara was frantic about her future. Her father wasn’t; he had slipped into a mild dementia to cope with the devastation of the South. But Scarlett, trying to reestablish some sense of a normal life on the old plantation, was running out of options. There were no food stores or crops, nothing of value to exchange for supplies, no means of support. The only currency in the family was a stack of Confederate bonds Mr. O'Hara had been saving for a rainy day. “Oh, Pa... what are those papers?” Scarlett asked. Indeed, what good is an investment in an economy that won’t last? Scarlett’s father had put all of his money into a currency that would soon become obsolete. He didn’t know that at the time, of course; he was simply banking on the future he expected—a Confederate nation with its own growing economy. The problem was that he didn’t see the future accurately. His lack of vision led to investments that would eventually become worthless. We find ourselves with the same options. Do we invest in the future we can see with our own eyes? 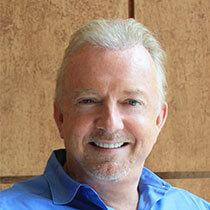 Do we work primarily to build bank accounts that will serve us in this world? Or does our vision need to be bigger than that? According to Scripture, we are created to live forever. We have an eternal future. 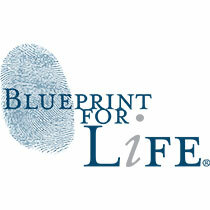 No "Blueprint for Life" makes any sense if we don’t see “life” as everlasting. Scarlett O’Hara’s father thought he’d be rich forever. Many people invest in the spiritual equivalent of Confederate bonds; we have a golden opportunity to lay up treasure in heaven. The things we do today matter forever in eternity. When we invest in eternity, we can be like the man who built his house on the rock, rather than building his house on the sand (Matthew 7:24-27). This creates a dilemma, doesn’t it? On one hand, you want a fulfilling life on earth—a loving family, a passionate marriage, rich relationships with your kids, close friends, enjoyable hobbies, a fit body, healthy finances, and a successful career. On the other hand, you must also plan for eternity. And this means thinking beyond the next few decades to develop a Blueprint for Life that factors God’s kingdom and your eternal rewards into the picture. After all, this earth is not our ultimate destination. And God’s Word clearly explains that while everybody attains salvation the same way—we are saved by grace through faith, not on the basis of our works—heaven will not be the same for everybody once we get there. You experience in eternity will be decided by the decisions you make and the things you do during your lifetime. As you make your way through the upcoming days also remember this powerful quote by John Wesley: “I value all things only by the price they shall gain in eternity.” Determine today to invest your life in your treasure that can never perish, spoil, or fade (1 Peter 1:4). Invest in God’s kingdom, and then you can be rich forever.